On any given Friday or Saturday during the college hockey season, you can see freshman starlets already claimed by NHL teams play alongside seniors that have had illustrious college careers but are still trying to prove they can cut it at the next level. Amongst this diverse talent pool for the 2017-18 season are these promising players that may be swapping their college colours for pro sweaters sometime in a few years. While the defending champions boast a slew of players with NHL potential (like Blackhawks-claimed Ian Mitchell, reigning NCAA goaltender of the year Tanner Jaillet, and 2017 World Juniors star Troy Terry), perhaps the brightest Pioneer prospect is sophomore Henrik Borgstrom. A first-team All-American last season, the Finn has picked up where he left off this year, collecting an NCAA-leading 13 goals through his first 11 games. 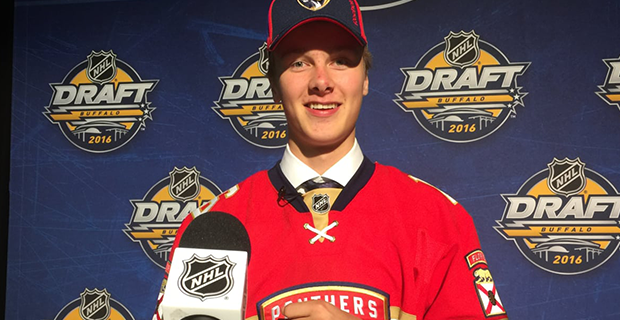 Selected 23rd overall by the Florida Panthers in the 2016 Entry Draft, Borgstrom also possesses excellent vision and passing, as evident by the 21 assists he tallied last season. If his physicality can improve, look for him at the BB&T Center as early as 2019. The highest draftee from last June's NHL Entry Draft to continue on playing college hockey, Cale Makar is tabbed by Elite Prospects as having the potential to become a "traditional franchise defender that can do it all." 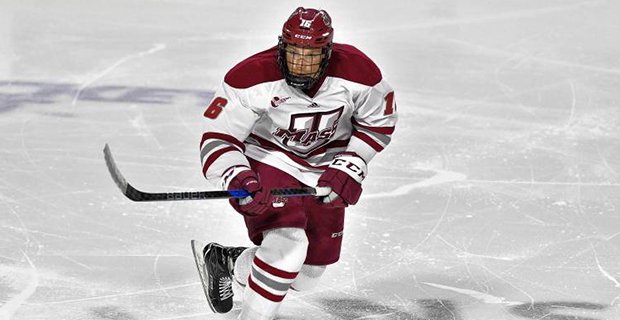 After being selected #4 overall by the Colorado Avalanche, Makar opted to play at least a little college hockey at UMASS. So far, Makar has had a solid enough debut season as part of the Minutemen's top defensive pairing. Prior to arriving in Amherst, the Calgarian was named the CJHL's MVP and RBC National Junior Player of the Year for the 75 points he collected in 54 games with the 2016-17 Brooks Bandits. While many pegged U.S. Development Camp star Josh Norris as the one to watch in Ann Arbor, it's actually been junior forward Cooper Marody commanding more attention thus far. Marody has been an assist machine In his first full season, tallying 19 through his first 14 games, good enough for second-most in the country. After being cut from his varsity high school team, Marody missed much of his freshman season due to mononucleosis and then a chunk of his sophomore year because he didn't get enough academic credits while sick. 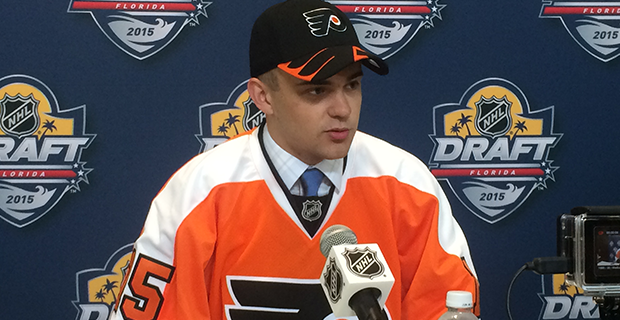 The 20-year old was selected #158 overall by the Flyers in the 2015 NHL Draft. 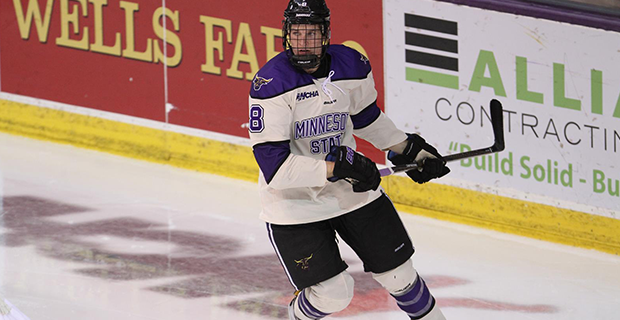 Daniel Brickley returned to Minnesota State for his junior season after becoming what many consider to be college hockey's top undrafted prospect last June. The 6'3" defenceman was a second-team All-American last year, having led the WCHA in scoring amongst defencemen with 31 points in 31 games. Brickley is considered a strong favourite to represent Team USA at next February's Winter Olympics, and has previously played for his country at the 2017 IIHF World Championships. With no NHLers being permitted to play in PyeongChang and Canadian betting companies on the internet listing them with the sixth best odds (+1000) to win gold, the Americans could certainly use his help. 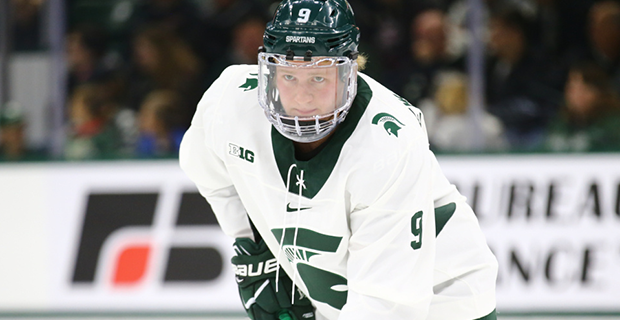 Two months into the young season and Michigan State's Mitchell Lewandowski has already laid claim to being college hockey's hottest newcomer. The freshman forward has already posted 9 goals and 9 assists through the Spartans' first 14 games, leading his team in both points and assists (tied). Prior to East Lansing, Lewandowski played for the USHL's Chicago Steel, where he helped them to a Clark Cup championship by averaging nearly a point per game during the playoffs. As one of MSU's 19 underclassmen, Lewandowski appears to be the future for the Spartans, and possibly for an NHL club down the line. Not many top prospects choose to play their college hockey at Pittsburgh's Robert Morris University, but the legacy of senior Brady Ferguson could be a small step in changing that. The 6'0" forward is in position to break every single program scoring record this season, largely in part to his 58-point season as a junior that saw him finish fifth in the nation in that category. This effort has not gone unnoticed by scouts. 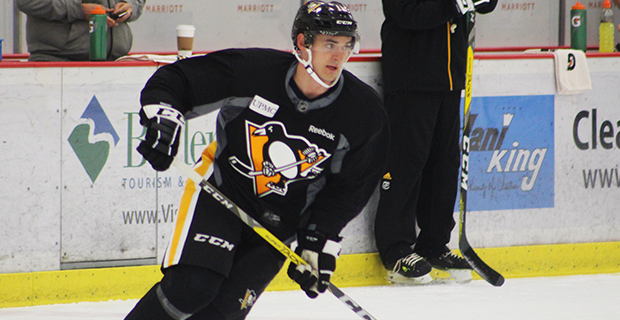 The Texan took part in the Penguins development camp last summer, and scouts from other NHL clubs have made a point to watch the 23-year old play in person this year. So far for 2017-18 he's registered 14 points in 15 games, making him a good bet to become the program's first NHL product.